Is your child ready to take their navigation skills to the next level? This special Level 2 navigation all-day course is for kids who have completed Level 1 or for teens wanting to learn navigation. This week will be the final week of the Holiday Adventure Club, so this is the last chance to learn essential outdoor and survival skills! Following on from Level 1 courses, this week we take things up a notch to Level 2 with more advanced skills. Would you like your kids to play outside in the fresh air, learning how to be independent and self-reliant? Would you like your kids to learn maths and science without even realising it? Or perhaps you have a child with ADHD and need an experience which helps them relax and focus. 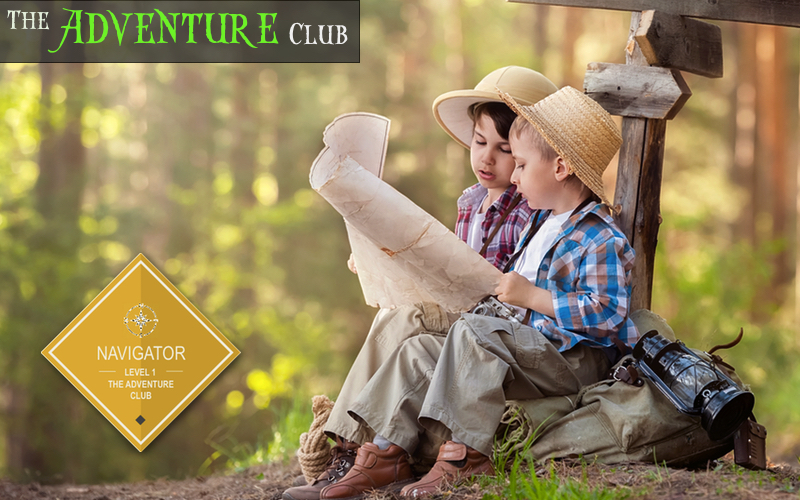 We set up the Adventure Club to meet all those needs, teaching outdoor skills in a fun yet challenging way to kids ages 7 and up (or under 7 with a parent attending). We’ll also be running a special Adventure Club week for teens in the first week of August. Ranging from building shelters to making fire, learning how to navigate to staying safe in the outdoors, the Club also links strongly to the Scottish Curriculum for Excellence, particularly in developing maths and science skills. During the school holidays, the Holiday Adventure Club runs all day from 9:30 – 5:00pm at the eco camp at Bamff Estate, near Alyth, Perthshire. Each day is £30 or the full 4 days can be booked for £95.